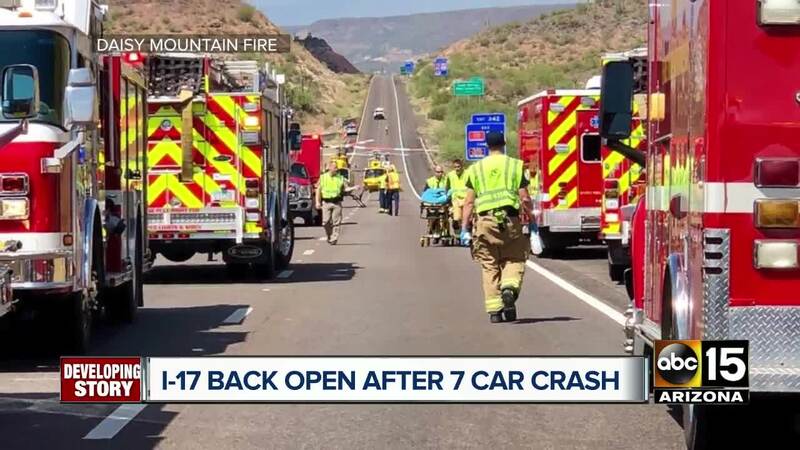 Interstate 17 northbound has been reopened near Black Canyon City following a multi-vehicle wreck Sunday, according to the Arizona Department of Transportation. 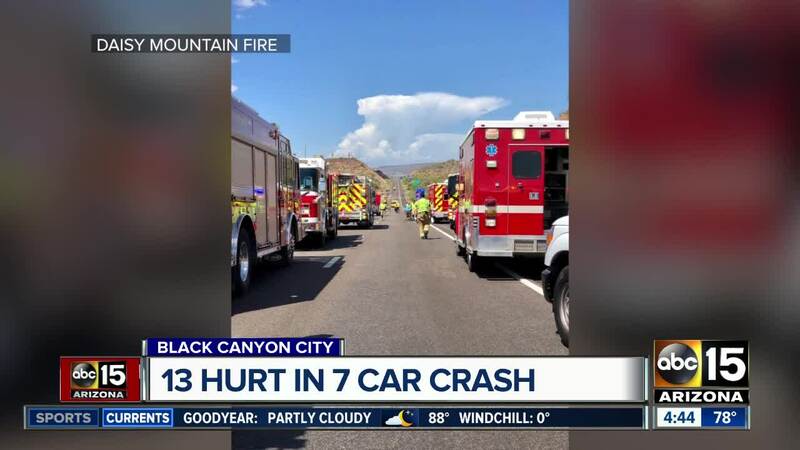 Officials from Daisy Mountain Fire & Medical say seven vehicles were involved in the crash around 1 p.m. Northbound lanes were shut down for more than an hour as crews from multiple agencies worked to clear the scene. At least one person had to be extricated from a vehicle, officials said. Crews treated 13 patients. It's unclear at this time on the severity of their injuries. Five medical helicopters were requested to the scene, officials said. The southbound lanes were not impacted, officials said. *CRASH UPDATE* I-17 NB at Rock Springs: All lanes reopened after a crash. However, continue to expect significant delays because the backup has been more than 10 miles.